People will often cringe when they are introduced to fund raisers. My wife has essentially been a fund raiser for the past 20+ years. She’s worked at the Open Door Mission as an assistant to Pastor Bob Timberlake. She served as VP of dvancement at Grace University, Director of Development at Omaha Christian Academy and now has the same title at the Assure Women’s Center. No matter what her title has been, she’s been a fund raiser. People get nervous around her sometimes. I get nervous around her sometimes! She expects a lot out of people when it comes to worthy causes. She expects more out of herself and out of me her husband. In some respects people see Pastors as fund raisers! I’ve never liked that title, but as Country Bible Church has grown from 75 people to 750 people in the last 20 years, I’ve found myself facing the responsibilities of a fund raising as well. The Passage I’ve chose for my Christmas devotions and sermons is 2 Corinthians Chapters 8 & 9. I find it very encouraging that the Apostle Paul has no shame in taking on the role of a fund raiser. He speaks of it as a privilege of being the one behind gathering support for righteous causes. He has written to raise funds for his own support. He’s written to raise funds for the hungry in Jerusalem. He’s written to raise support for other missionaries. He’s just not ashamed to ask others to help support a worthy cause with their resources. We often don’t have that confidence. I’ve known many would be missionaries who are still “tent-making” because they don’t want to raise their own support. We are often ashamed of that aspect of the ministry. I know because I too often feel that way. Paul doesn’t feel that way at all. 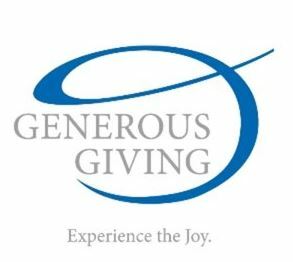 In 2 Corinthians Paul exhorts believers to be generous. He uses the term “grace” to refer specifically to generous giving by believers. Grace is the unmerited favor that God gives us, and to Paul it’s the unmerited favor we show when we give or our resources for a good cause. He illustrates this idea by reminding us about Jesus’ “grace” shown to us at Christmas. In 2 Corinthians 8:9, he writes, “For you know the grace of our Lord Jesus Christ, that though he was rich, yet for your sake he became poor, so that you by his poverty might become rich.” I love what Chafin and Ogilvie say when they comment on this passage, “Few people are more attractive or more contagious than those individuals who find happiness in generosity. It is unfortunate that so many of us seem to find it hard to associate the two words “enjoyment” and ‘giving.’ The words seem to them to be mutually exclusive. Because ours is a society that is preoccupied with ‘getting,’ we often fail to experience personally the truth of Christ’s saying, ‘It is more blessed to give than to receive’” (Acts 20:35).